How the Body Mind Spirit Soul Connection creates your life experience. 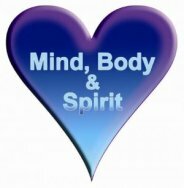 The Body Mind Spirit Soul feedback loop creates your physical life experience. What is this feedback loop, and how can you tap into it? Several years ago, one of the visitors to Metaphysics for Life sent me a message asking what the difference is between Spirit and Soul. At the time, I had not given much thought or attention to the concept of Soul. In my mind, Spirit is the light that connects all things. Even science has come to the conclusion that everything is energy, or light. But Soul is a thing that I placed in the realm of religion, an area where I don't have much experience or expertise. When I first started creating a Mind With Heart in my own life, it was all about the thoughts, feelings, and physical life experience. These are all things that we can experience directly. Everyone thinks, feels, and has a body that perceives our surroundings. I started using my body to observe my life experiences in more neutral terms, putting my emotional reactions and automatic thoughts on hold. I would then observe the thoughts and feelings I was having about the experience, and write them down. Then, using simple breathing and visualization techniques, I would access my Heart for the truth about my experience. I found this process had an astonishing healing effect upon my mind and body. Symptoms of stress that had put me in the hospital several times started to fade. And I found myself able to engage in life in a new way, making new friends, improving my relationships, doing work I loved to do, and making big changes in my lifestyle as well. Learn how I create a body mind spirit soul connection here. But it has only been in recent years that I began to wonder, where did these answers from within come from? How is it, when I ask my Heart for the truth about a situation, that I actually get an effective answer? From the Institute of Heartmath I learned more about the science of the Heart, the mind and brain. I understood more about how the Heart and mind connect and can communicate, and how the Heart influences the body as well. But the idea of Soul seems to be missing from the realm of science. And, in my opinion, it is the concept of Soul that can explain why and how we get inspired, get answers, and find a reason to live our lives. I'm not an expert in religion or spirituality, but I have some friends that are. I turned to them to get some ideas about what our Soul might be, and the role it is meant to play in our lives. What I learned has inspired me, and there's too much to share right now. But in a nutshell, and this is my own personal experience, the Soul is the perfect image or blueprint for our lives. And Spirit is the light that shines through that blueprint causing it to manifest as our physical life experience. In other words, when I access my Heart for Love based Truth, using simple techniques that create feelings of inner peace and well being in my Heart, I am actually creating the circumstances that are necessary for Spirit or light to project the perfect images in my Soul into my physical life experience. That's just the best I can do to try and explain the experience at this time. 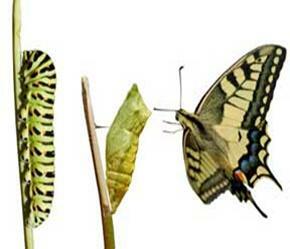 The body mind spirit soul feedback loop can create transformation in your own life, and in the lives of others. But it's not just the perfect images for my own personal life that are contained in my Soul. Quantum physics has shown us how the universe is holographic in nature and how even the tiniest particle also contains the whole within it. The same is true for the Soul. Every Soul contains within it the perfect image for your life, and the perfect image for everything "external" that you might experience in your life. So, if you want to make a difference in the world, try creating A Mind With Heart and allow Spirit to shine its light through the perfect blueprint in your Soul, allowing it create your life experience. If we want a healthy mind and body, then we need a healthy world to live in, so it's in our Soul's purpose to create that. 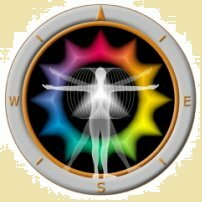 The technique I use to create a healthy body mind spirit soul feedback loop is called the Heartcompass Life Navigation System, and it's something I created after I was diagnosed with PTSD, was divorced, and had lost my job. The Hearcompass Life Navigation System came to me in a dream of sorts. It was complete in my mind when I woke up one morning after going to sleep asking for a way to find the thoughts and feelings that would create the life my Heart desires, not what I think I want, or what others think I should want. Years ago I created an ebook, "Your Heartcompass Owners Manual", that shows you how to use the Life Navigation System in your own life. That ebook is available online for free. 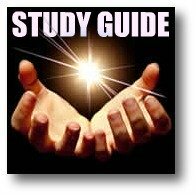 But I keep learning and growing, so I also have an online course, "The Total Heart Mind Body and Soul Makeover", where you can watch video lectures with slide presentations that share what I have learned about the Heart, Mind, Body and Soul and how to create A Mind With Heart using the Life Navigation System. Learn more about the Heartcompass Life Navigation System for Creating A Mind With Heart and get a free ebook here. Your body mind spirit soul feedback loop is creating your physical life experience. Shouldn't you understand how it works, and how you can gain conscious awareness and control of that process? Whether or not you are religious, believe in God or are an atheist, anyone can access the Heart for Love based Truth and create a positive impact in their life experience. I'm not asking you to believe me. But I do invite you to give it a try in your own life. 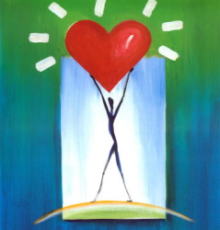 Join the Foundation for Creating A Mind With Heart (it's free) and download a copy of "Your Heartcompass Owner's Manual" at no charge.